Beautiful stud. Do they roam freely in the Burren? Yes, sort of. The stonewalls covers a huge area, a whole mountain or several some places… met a whole gang up there today. Wonderful! Lucky you, I didn’t see any when I was there. Awesome. It’s the first time I met them up in the Burren, it was really special. 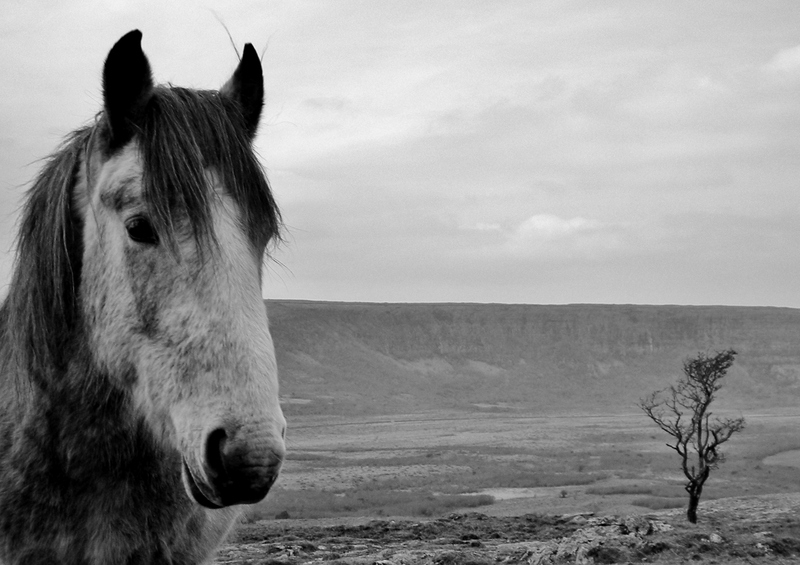 Great shot – I love that the horse is the focus but you can still see the background fairly clearly – good depth of field.